The place to throw a party. We believe in creating a space that is not only inviting and elegant, but that is also affordable and convenient. 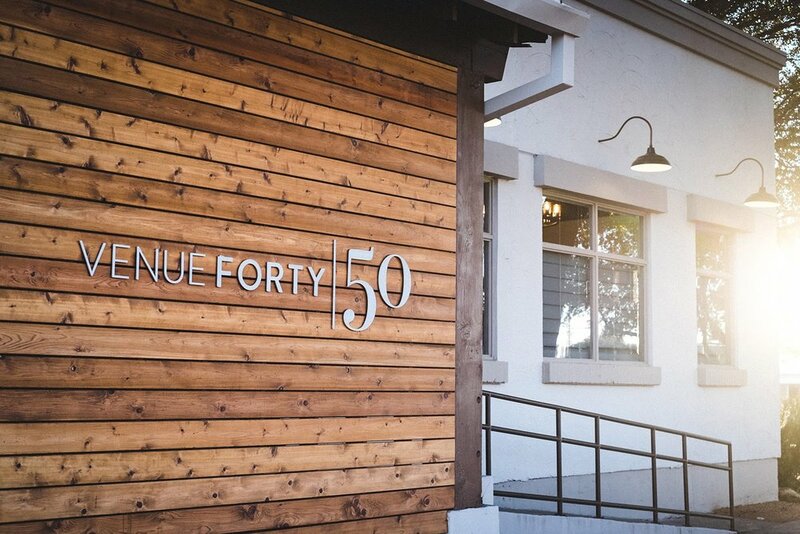 With a modern-rustic vibe right in the heart of Addison, TX, Venue Forty|50 blends the two seamlessly. Whether it’s an intimate gathering or a large event, we believe in creating a space and experience perfectly suited for you. Whether coming from near or far, Venue Forty|50 is the ideal location for all. Located in the heart of North Dallas, all of your guests can attend with ease. Every event needs a special space for a band, DJ, or guest speaker. Venue Forty|50 offers a transformable stage to highlight your entertainment. Whether you’re hosting an intimate wine tasting or an extravagant gala, Venue Forty|50 is designed for customization. Let our adaptable space and staff help you create a lasting memory.